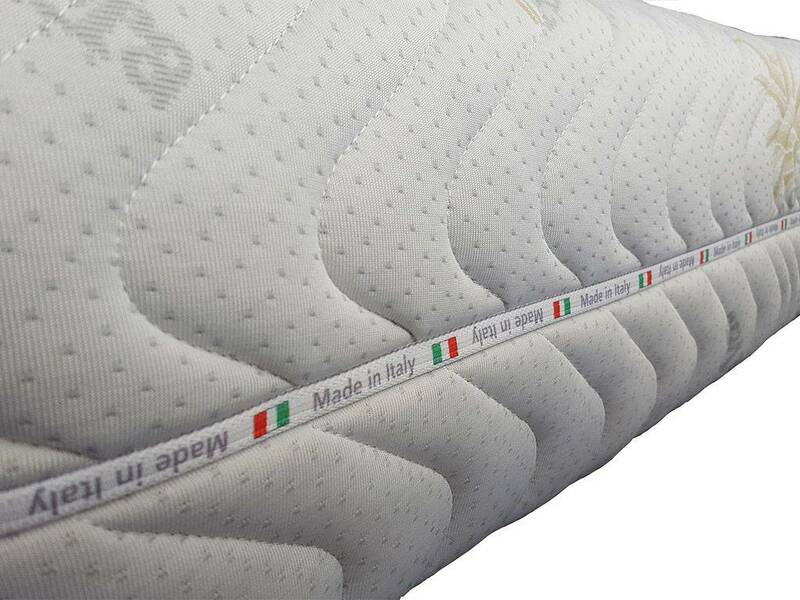 Designed to allow the joints and the spinal column to rest in a correct position, the core of this mattress is composed of a sandwich of highly breathable ecological foams coupled with a 5.5 cm wave shaped profile in memory ve foam, able to reduce muscular and nervous tension by balancing the weight on most of the surface. 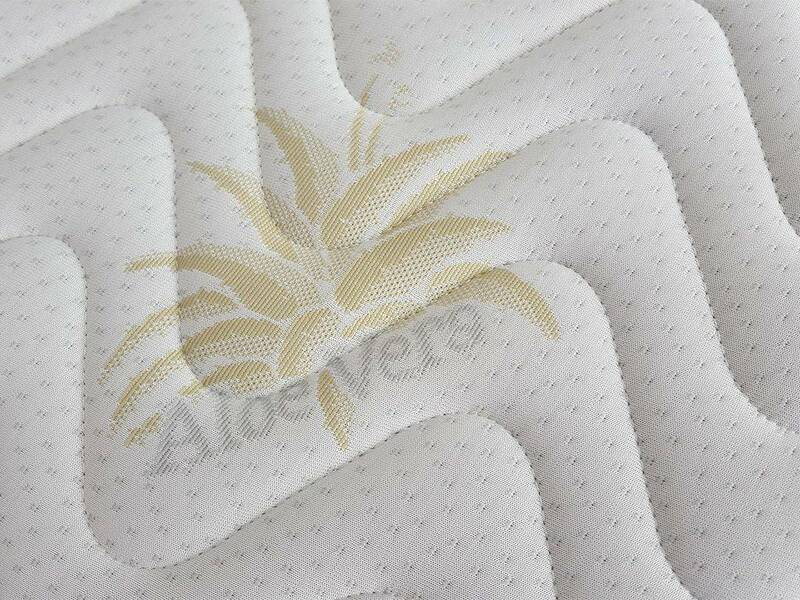 Aloe vera fabric that, in contact with the skin, releases the aloe beneficial substances absorbed by the human body that have a positive influence in important functions such as the sleep, the awakening, the attention. The fabric gives a feeling of softness and freshness favoring the well-being of the person. 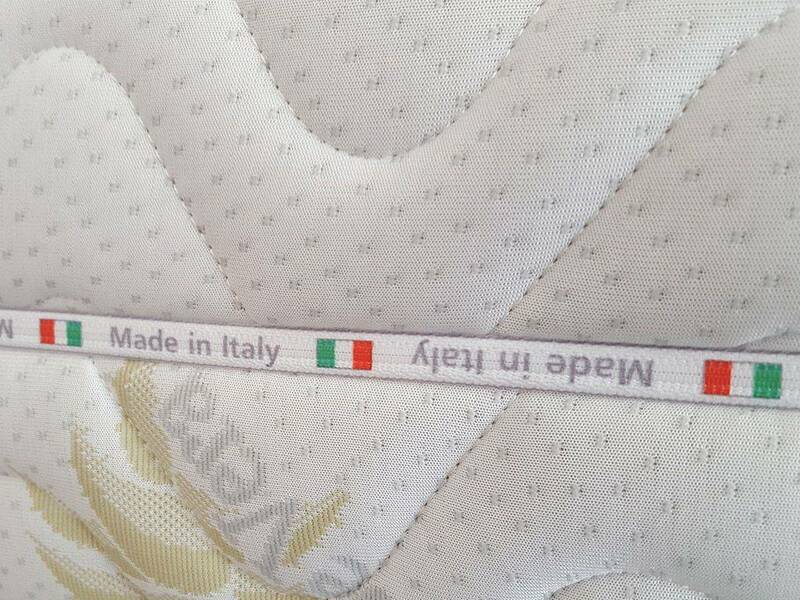 The product is completely handmade in Italy. Possibility of customizing the size. 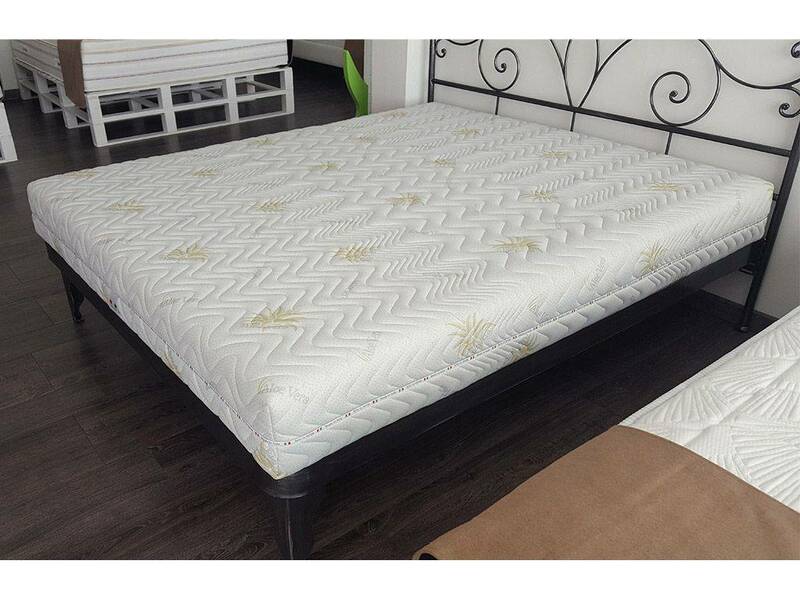 Fully removable and hypoallergenic mattress, with 2 shaped layers and 3 different areas. The scientific research of innovative materials has allowed the realization of this high-tech compound with exceptional results. 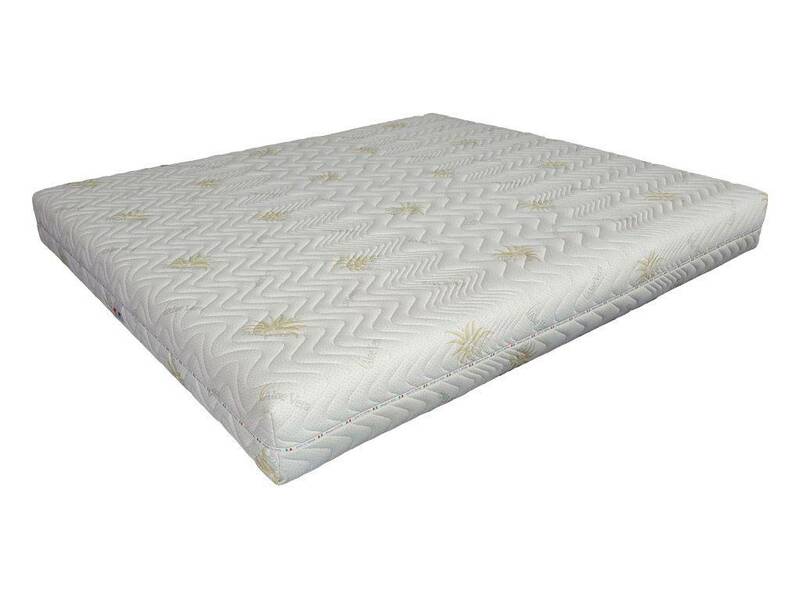 ERGONOMIC as it molds perfectly to every part of the body allowing a perfect and balanced support. HEAT SENSITIV because the body temperature acts on the molecular structure of this material, making it soft and lithe. It has a SLOW MEMORY as it is able to slowly recover its original shape. 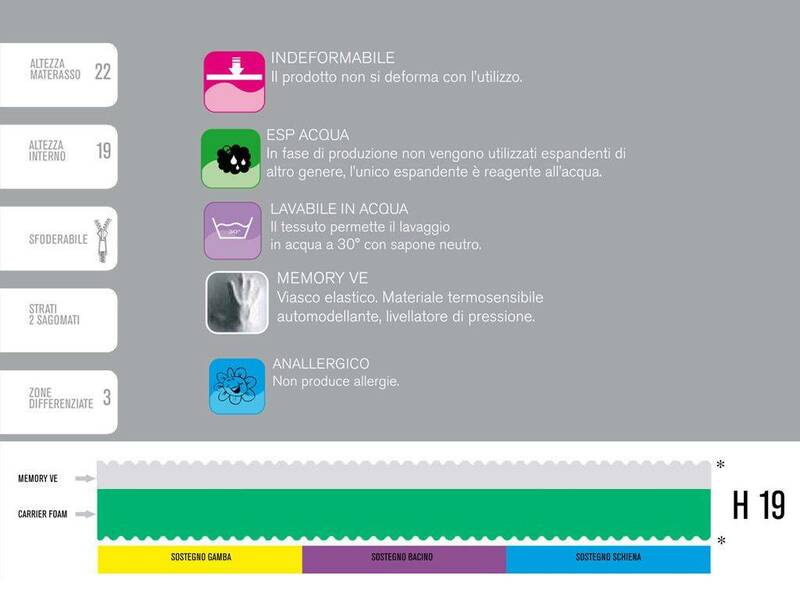 Moreover it has marked, hypoallergenic, anti-mite, antibacterial and antistatic characteristics.